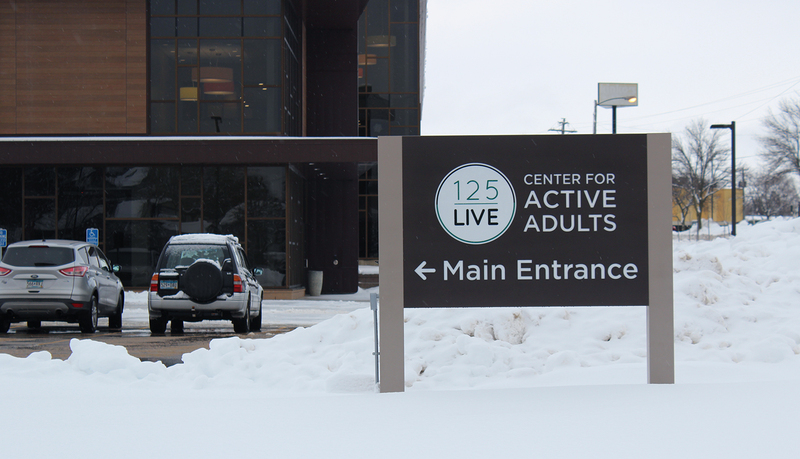 125 LIVE – Center for Active Adults is a $25 million, 60,000 square foot, state-of-the-art center for active adults offering innovative programming for the senior community. 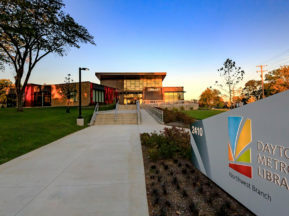 This new facility is connected to the existing Recreation Center, owned by the Rochester City Parks and Recreation. The mission of Center is to enrich the lives of active adults and they achieve this through offering over 200+ activities and programs each month, as well as special on-site services and monthly health clinics. 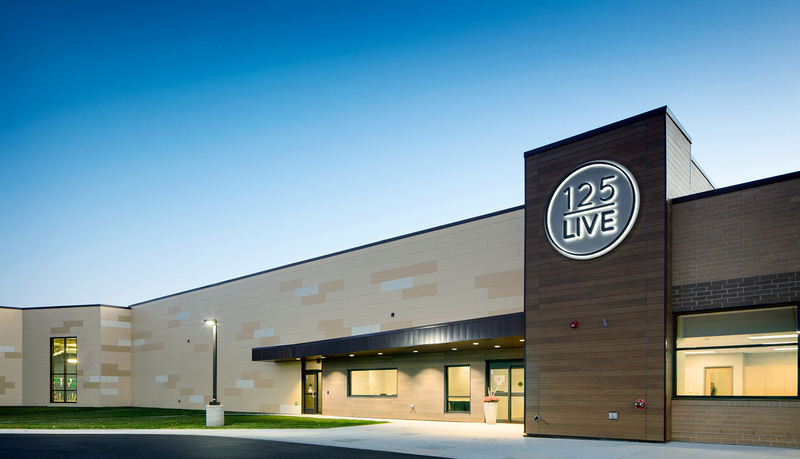 125 LIVE is specifically designed to focus on the diverse needs of individuals 50+ and provide a wide variety of physical, social and intellectual opportunities to engage the minds and bodies of the community’s active adults. 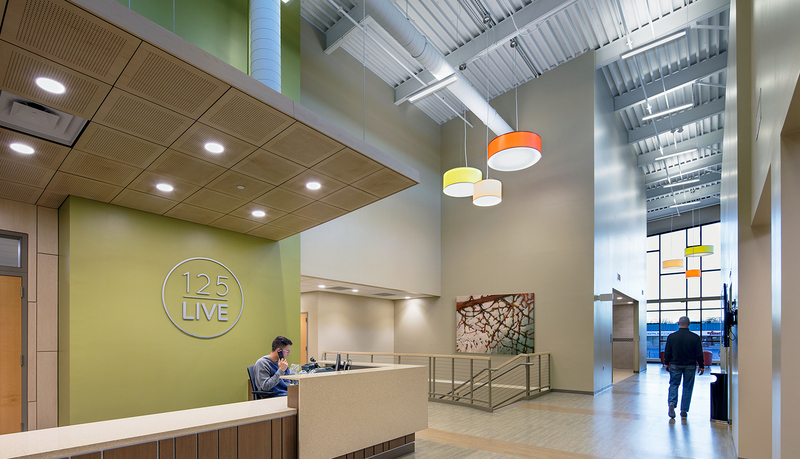 Through expansive programming, fitness amenities, gathering spaces and personal health resources, 125 LIVE provides opportunities for adults to embark on their own journey to “aging successfully”. 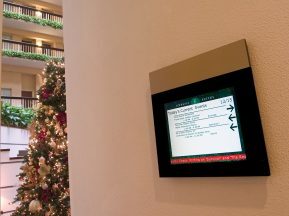 TSP Architects referred ASI to provide Design-build services to design and develop a comprehensive interior and exterior signage system that enhanced the elegant architectural finishes. The challenge was to provide a complete solution on a very limited budget while coordinating with the existing, attached Center. 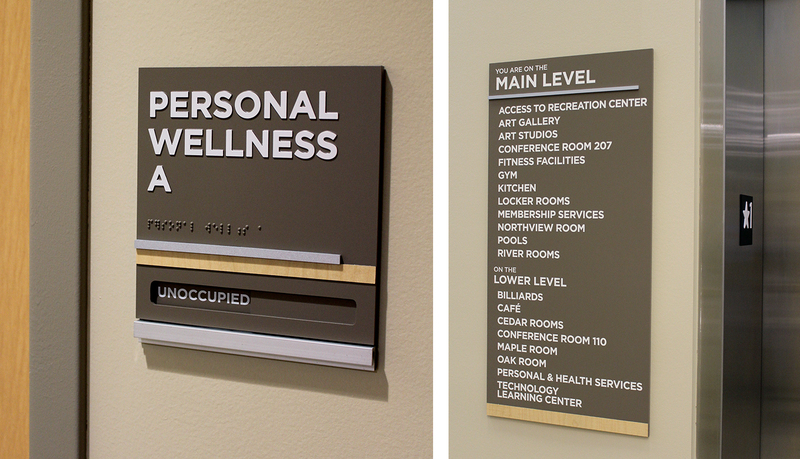 ASI created a clear wayfinding plan for the Center to efficiently guide seniors and clearly identify key areas and activities throughout the facility. Also, ensuring all signs were ADA compliant and easily viewed. 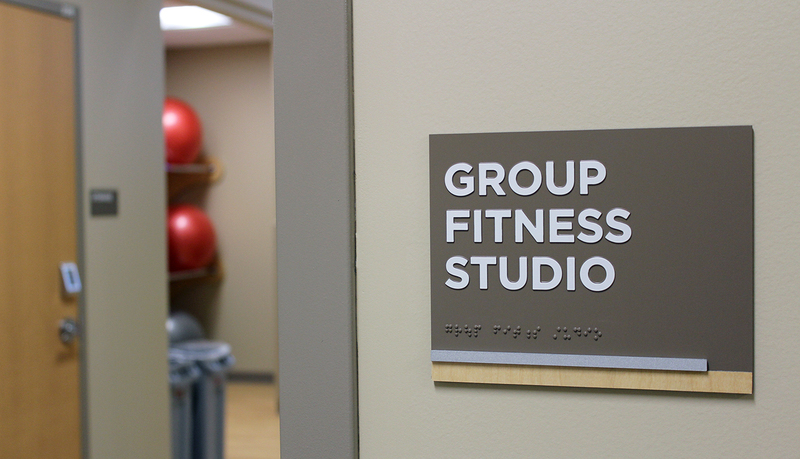 The signage design complemented the environment with warm earth-tone colors, wood veneers and natural metal finishes. 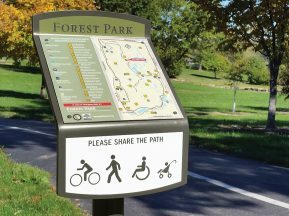 ASI navigated complexities with Parks & Recreation officials to successfully obtain approval on exterior back-lit logos which provided a contemporary, highly visible and dynamic brand. 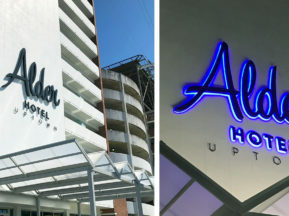 The approval allowed 125 LIVE to incorporate larger logos which not only enhanced the architecture of the building but also captured the attention of the entire community.